In the last weeks of the countdown to Carnaval, there’s music everywhere. Bands invade the streets with old samba classics, songs that go back to the legendary Tia Ciata’s secret samba parties in little Africa 100 years ago, songs like Caninha’s Gripe Espanhola, (Spanish Flu) and songs like Moreira da Silva’s E Batucada, which won the first official Carnaval music contest in 1933. 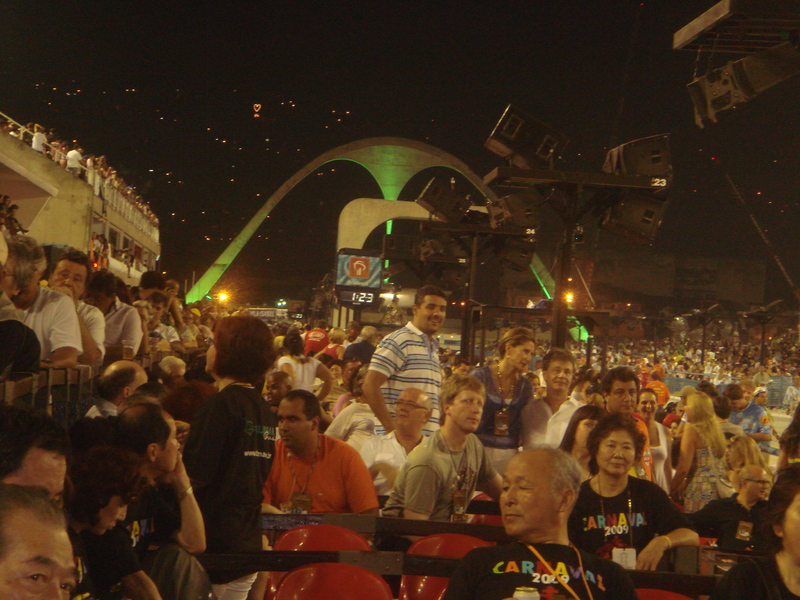 Every year since that first Carnaval, thousands of hopefuls have thrown their musical and lyrical genius at the feet of the Samba School committees. If their opus is picked up as a Samba Enreda, or theme song, for Carnaval, all of Rio will dance to its beat. If not, there’s next year. We meet Junior, a veteran of five competitions. Until he finally nails it, he enjoys performing his samba for the big names of his school. He enjoys seeing his friends and family catch the tune and the words then struggle to shake them off. 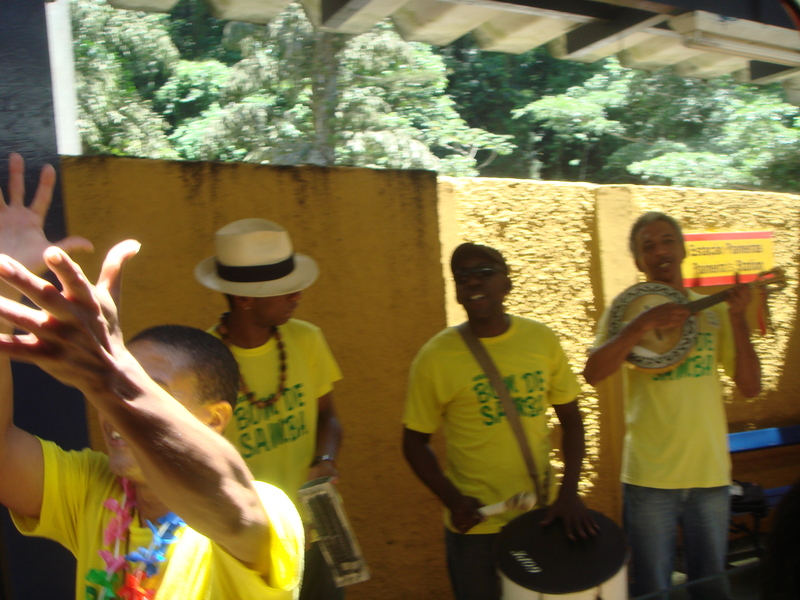 Samba music is highly contagious. When the Samba Enredas hit the airwaves, our brains become racetracks where random lines do endless laps. Born in the 1920s in the favelas or shantytowns, the Samba Schools of Rio de Janeiro were not, as their names suggest, teaching institutions. The name came about because, in the early days, the sambistas (samba dancers) used to practise in the grounds of a Teachers College. Right from the beginning, they have been essentially Carnaval parade teams. As they grew, strong, loyal communities developed around them and the Quattro or school’s headquarters became the heart of the favela. 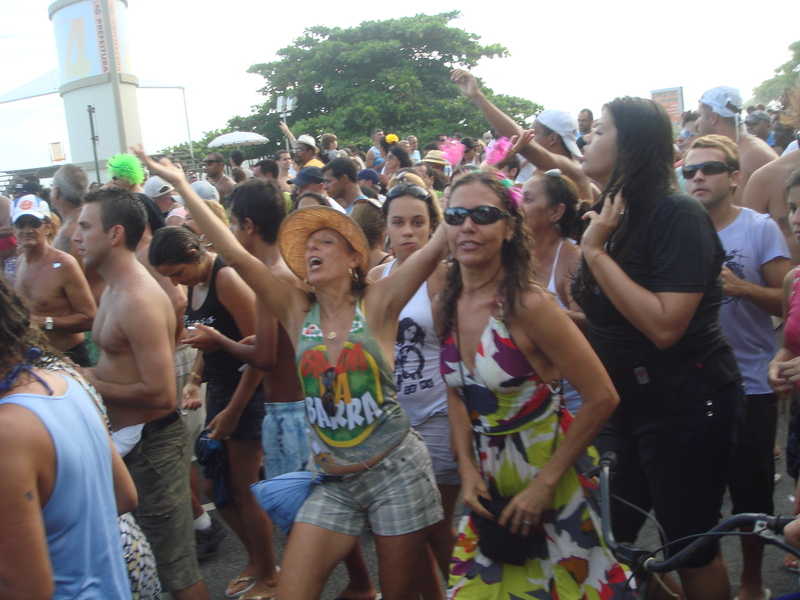 Because of the Samba Schools, Community spirit and pride blossomed. The samba was a part of that pride. Indeed it was part of the history of most favelas and part of the journey of most of their people. Their slave ancestors brought it from Africa in the 7th century and took it to the cane fields of North Western Brazil. Refugees from the depression in Bahia brought it back to Rio Centro in the late 1800s. They danced it in secret, at illegal Condomble religious ceremonies in the quarter that soon became “Little Africa” and is now “the cradle of samba”. 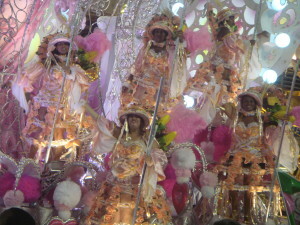 In the 1900s their children and grandchildren gave it to Carnaval. Since then it has been the dance that has given Carnaval its rhythm and its life. Now, Rio’s Samba Schools reach beyond the favelas. They are an essential part of its life and culture. Fundraising dances at the Quattro draw supporters from all over the city. The schools colours are worn with equal pride in chic suburbs and in shantytowns. 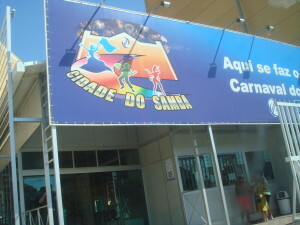 At present there are 70 Samba Schools. They compete in 6 leagues; On the first rung of the leagues ladder, is Group E and on the fifth is Group A, otherwise known as the Access Group. Lastly, at top, in League 6 are the Special Schools. 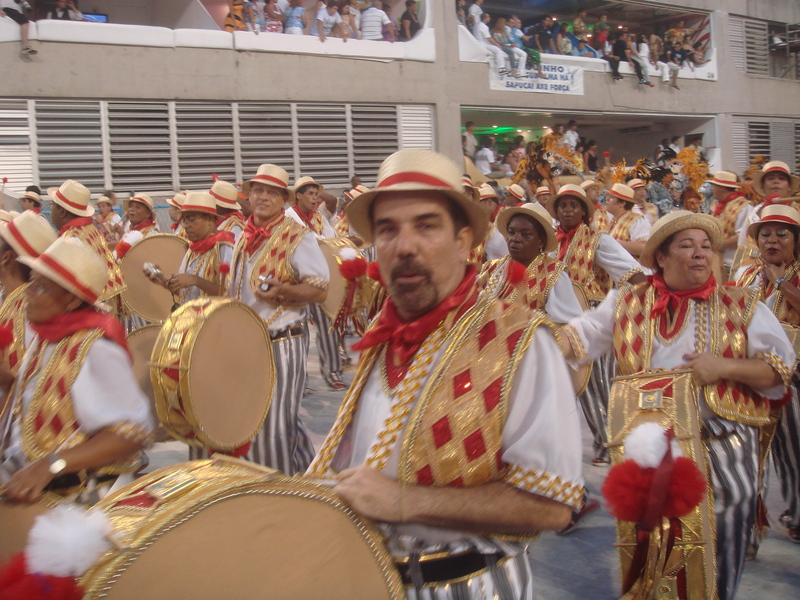 LIESA or the Liga Independente das Escolas de Samba Do Rio de Janeiro, formed and run by the Bicchiero or animal gambling barons, takes care of the top 2 leagues. The AESCRJ or Associao das Escolas de Samba do Cidade de Rio de Janeiro looks after the rest. It’s a long climb up through the leagues. Places are fiercely won and defended. Stories of bribery, corruption and stand-over tactics attend each rise and fall. By mid January, the streets are coloured with Samba School t shirts. 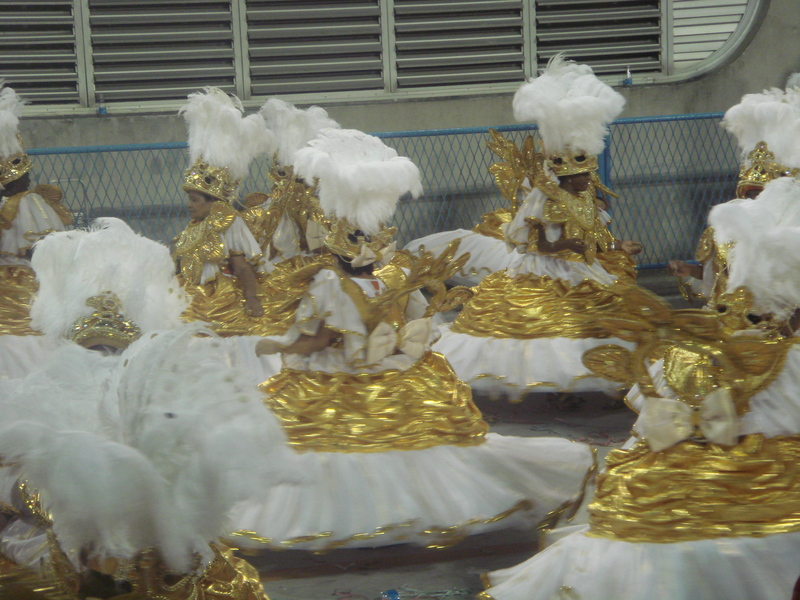 While the Access and the As to Es re-work hand-me-down costumes and recycled floats in back-street sheds, the Special Schools add their final touches in the Cidade do Samba or the City of Samba. This state of the art complex of studios, workshops and showrooms opened in 2005 down near the docks in Gamboa on the site of the old slave markets, at the heart of the “cradle of Samba”. It’s an education and entertainment centre, a place where the Carnavalescos’ (Carnaval Directors) great visions are translated into incredible parades. Now the Special Samba Schools are masters of this universe and the samba is King. The Cidade do samba is open to visitors, so I wander down to take a look. Perhaps it will help me to make an allegiance. Soon I’m wandering through a magical landscape of mythical creatures, towering floats topped with mountains and castles, confections of glitter and feathers and colours of every shade and nuance. By the time I leave, I’m a dedicated follower of Manguera, Rio’s most popular school, from the “cradle of Samba”, founded in 1928, colours pink and green, certain of its place in the Special Schools’ parade on one of Carnaval’s biggest nights, with the possibility even of a win and with great, eminently singable Samba Enreda, or official Carnaval samba song.